Bizet started writing the symphony on 29 October 1855, while studying at the Paris Conservatoire under the composer Charles Gounod (17 June 1818 – 17 or 18 October 1893, the French composer, best known for his Ave Maria, based on a work by Bach), four days after turning 17, and finished it roughly a month later. Georges Bizet; 25 October 1838 – 3 June 1875, registered at birth as Alexandre César Léopold Bizet, was a French composer of the romantic era. 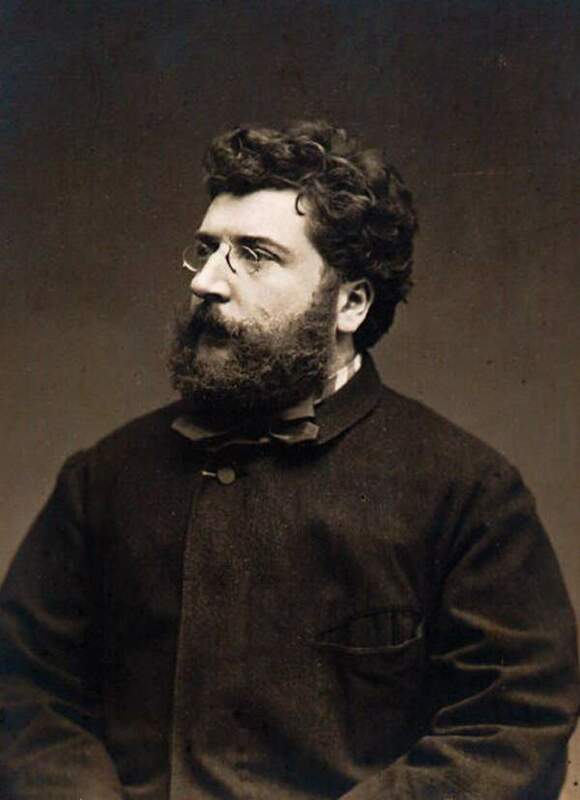 Best known for his operas in a career cut short by his early death, Bizet achieved few successes before his final work, Carmen, which has become one of the most popular and frequently performed works in the entire opera repertoire. Since Bizet was the student of Charles Gounod when he wrote the Symphony in C, there are many similarities between this symphony and Gounod’s Symphony in D. Bizet was emulating and, in certain cases, directly quoting his teacher. There are, in fact, so many references, parodies and quotations from Gounod in Bizet’s work that it is likely the young composer was consciously paying homage to his celebrated teacher.